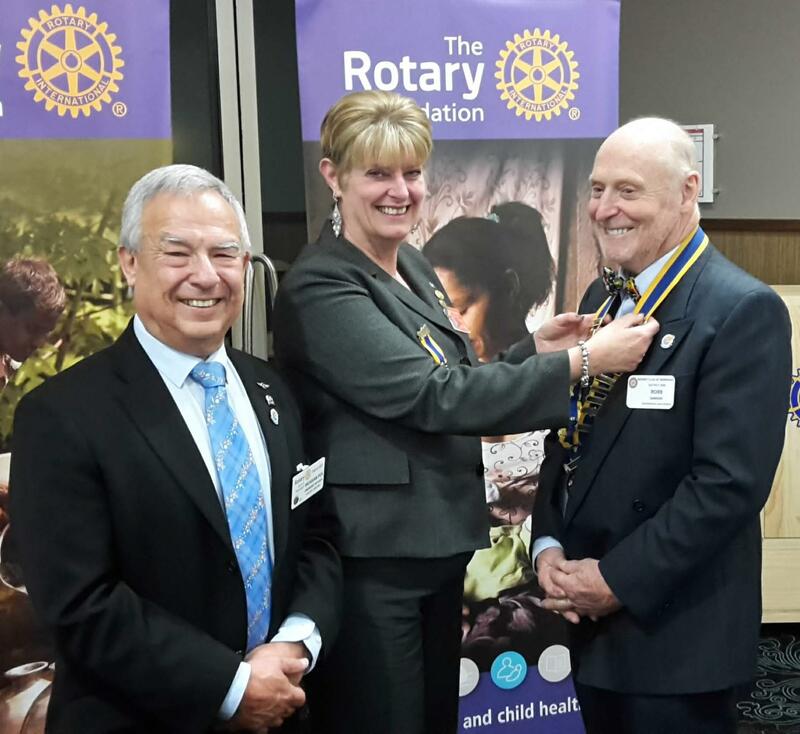 Welcome to the Rotary Club of Warragul! 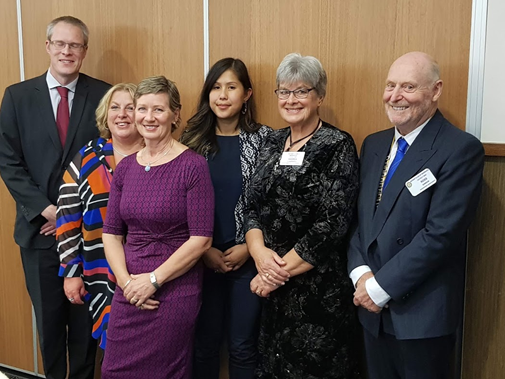 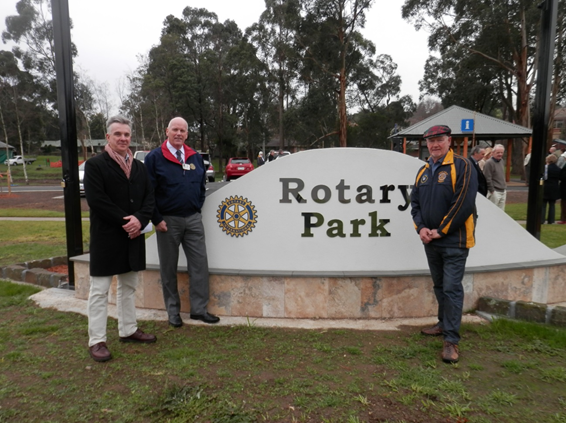 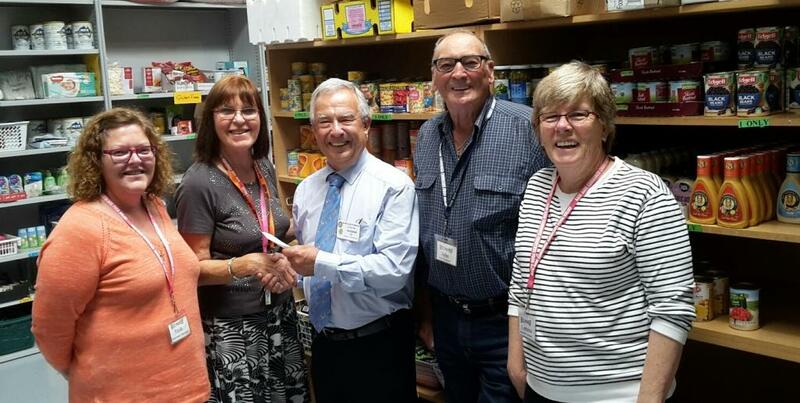 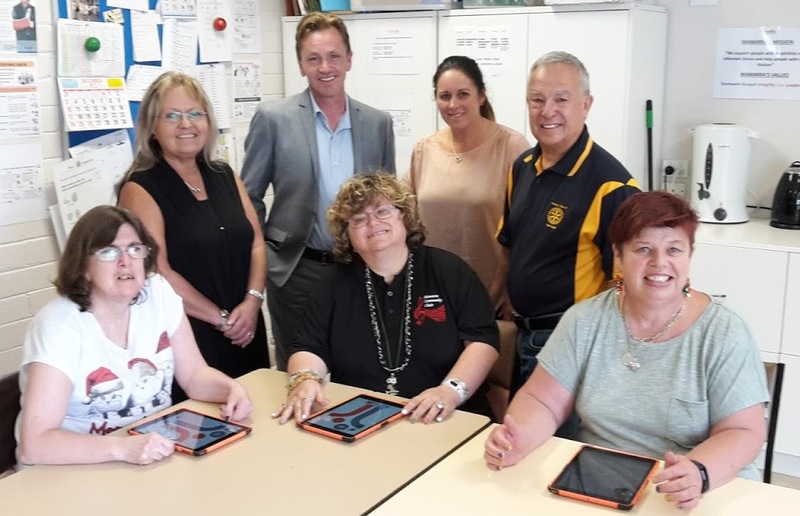 Since the establishment of the Rotary Club of Warragul in Warragul in 1938 the club has raised substantial funds and contributed many hours of work to undertaken projects to support the Warragul community. 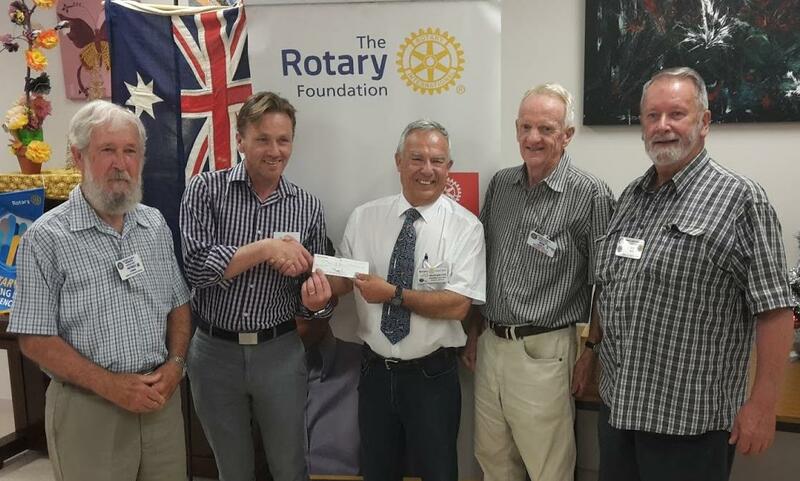 Through the broader Rotary organization the club has also made significant contributions to projects in Australia and around the world. 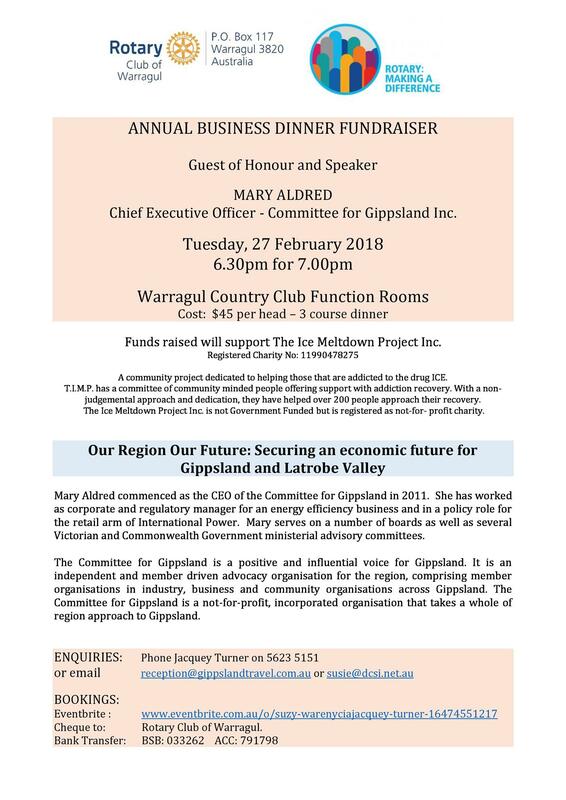 This is the second of a series of articles prepared by club president Ross Dawson that will appear in our local paper (the Warragul Gazette) over coming months. 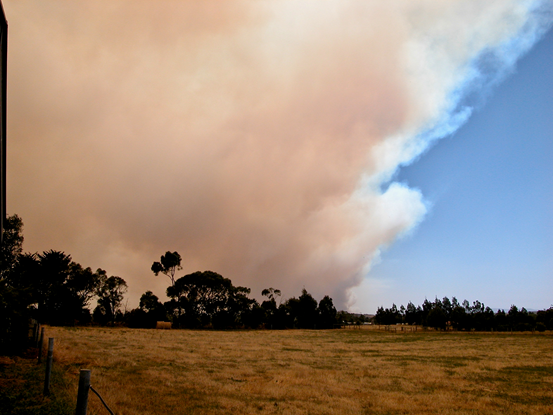 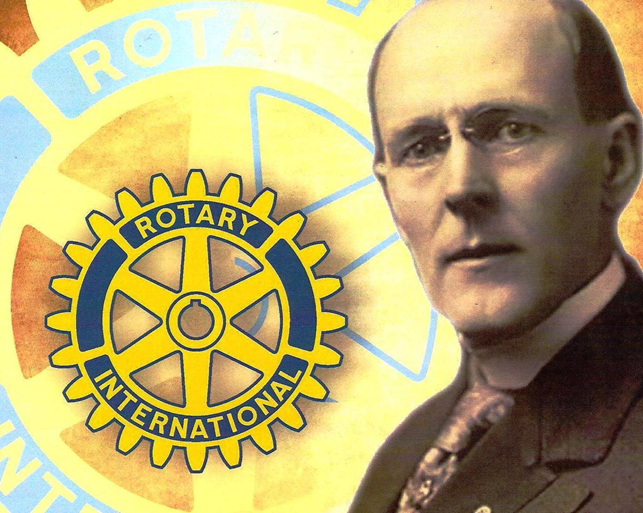 Today's article is about the very beginnings of the Rotary Club of Warragul. 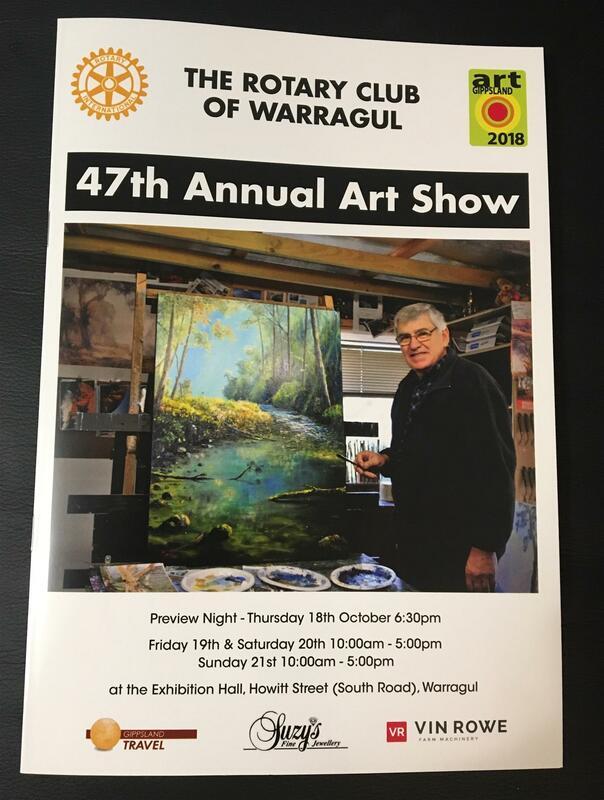 This is the first of a series of articles prepared by club president Ross Dawson that will appear in our local paper (the Warragul Gazette) over coming months. 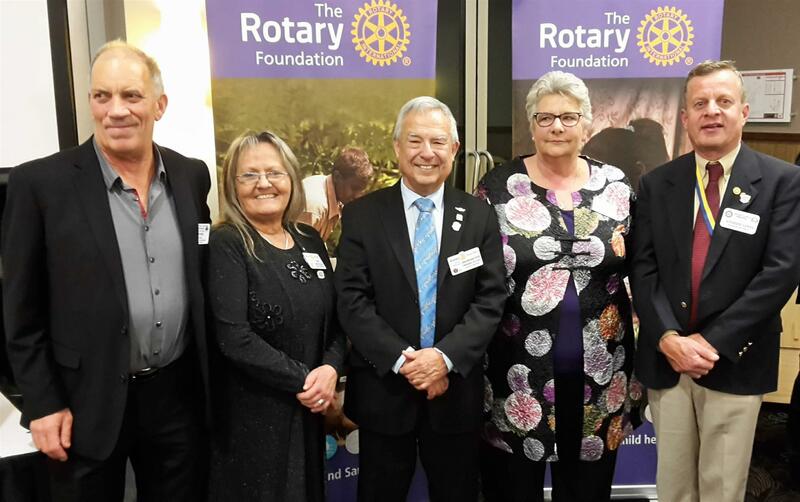 The initial articles will give some background on Rotary generally and then the establishment of the Rotary Club of Warragul. 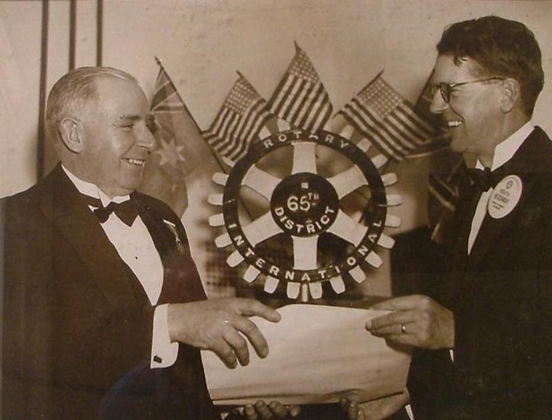 Today's article is about the very beginnings of Rotary International; Rotary began because of the public concern of a group of Chicago, business men. 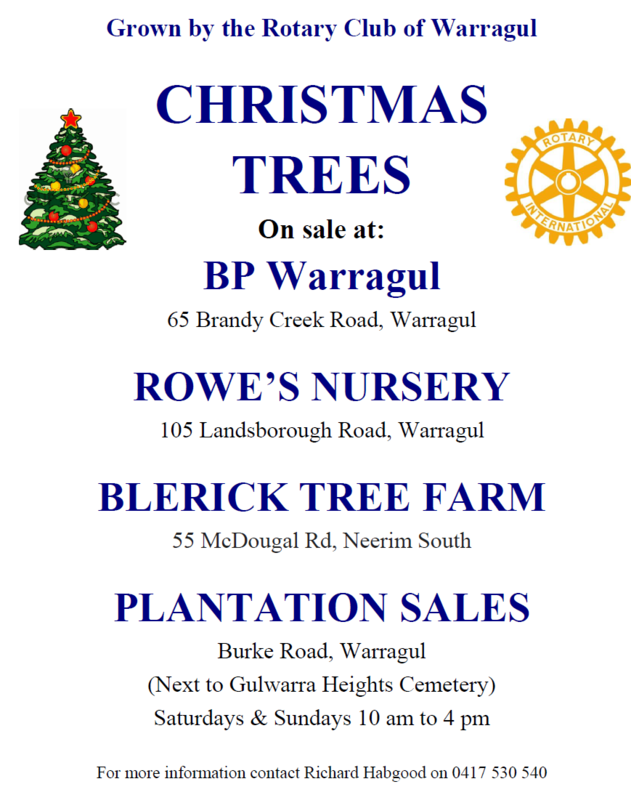 are being donated to the Warragul specialist school. 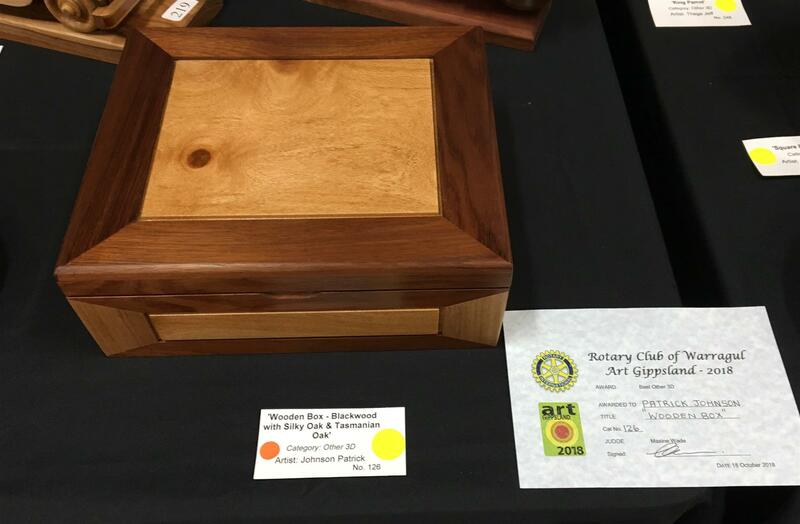 Total funds raised for this years raffle was $6500. 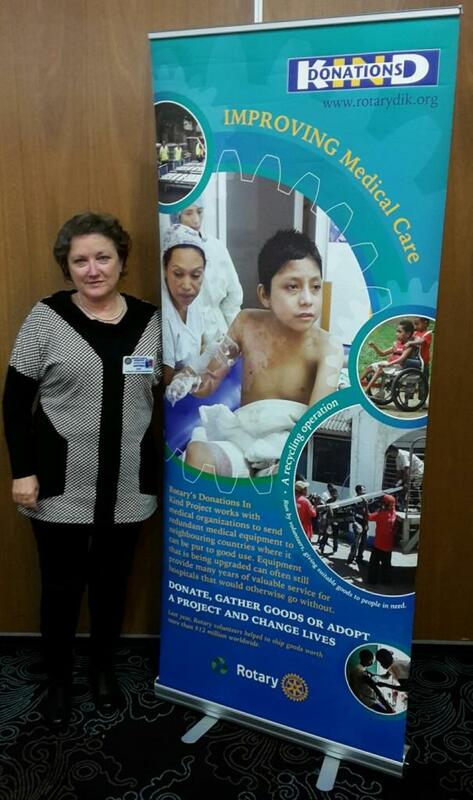 3rd Prize 4 Burner BBQ Donated by Bunnings Warragul - Winner was Betty Wells. 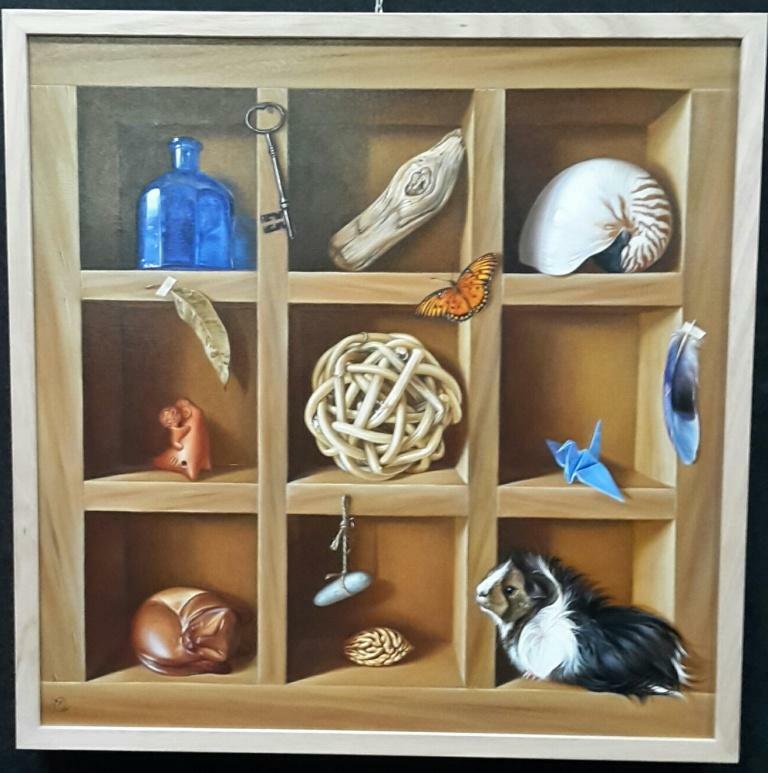 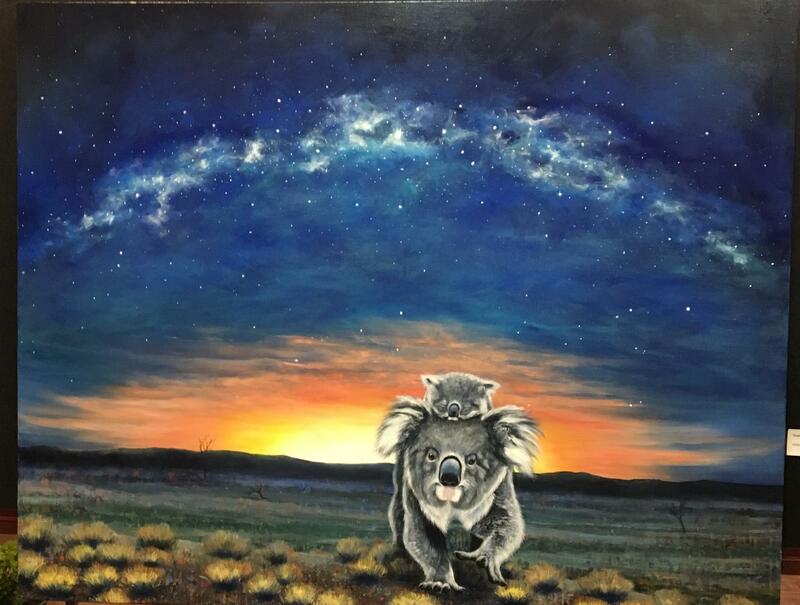 The People’s Choice award at this year’s Rotary Art Show was won by Elena Kolotusha with her art work titled ‘Collectors Shelf’. 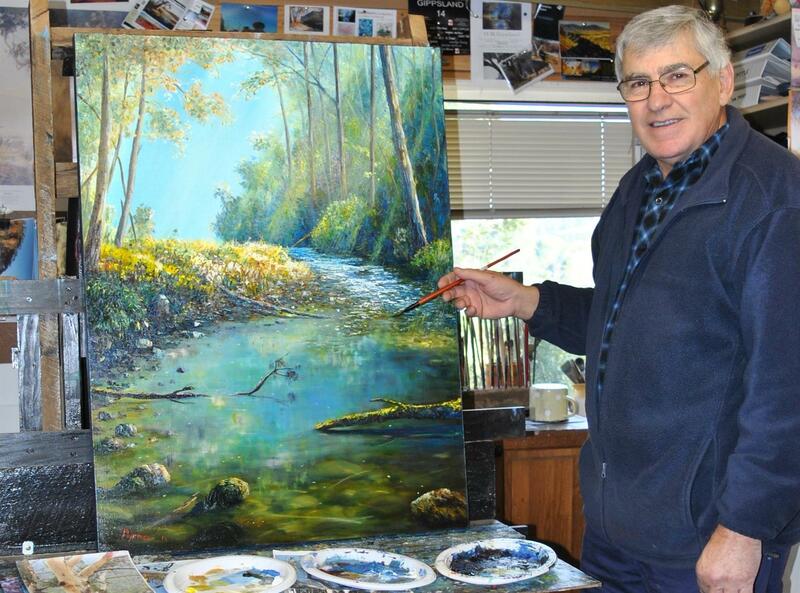 This complex oil painting had many patrons looking into the detail of the work. 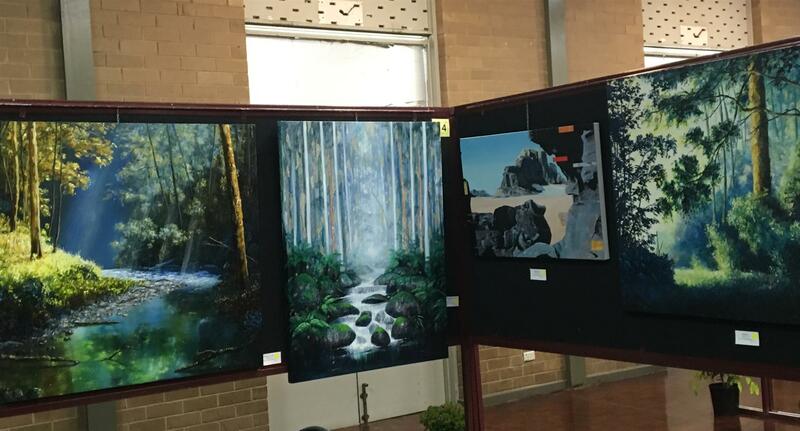 With around 270 votes cast over the 260 pieces of artwork the final winner was a close contest. 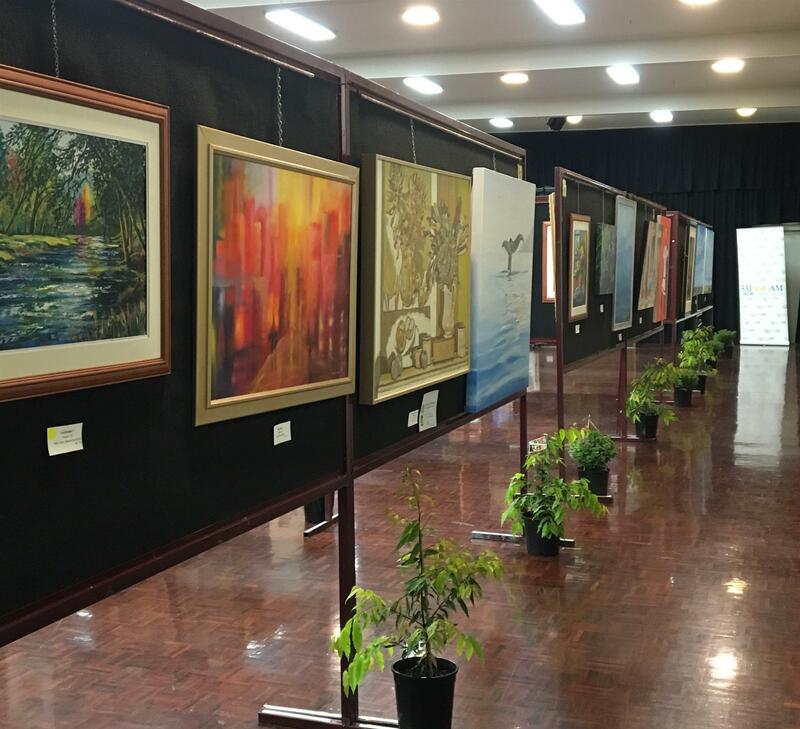 With the West Gippsland Arts Centre unavailable this year the Rotary art show returned to the Exhibition Hall. 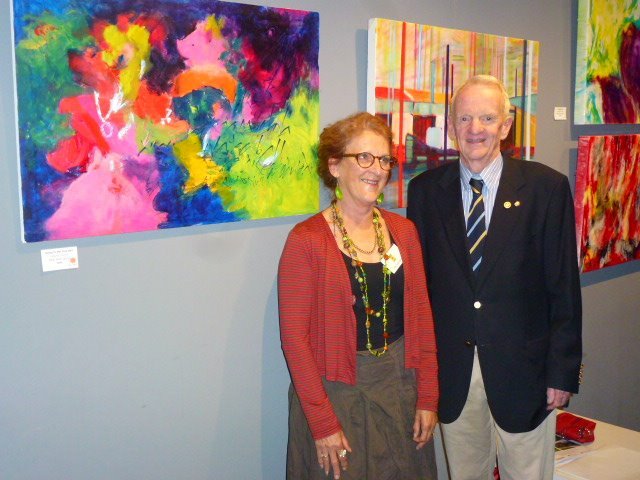 Attendance was up on last year with feedback from art show patrons and artists they were very happy with the alternative venue. 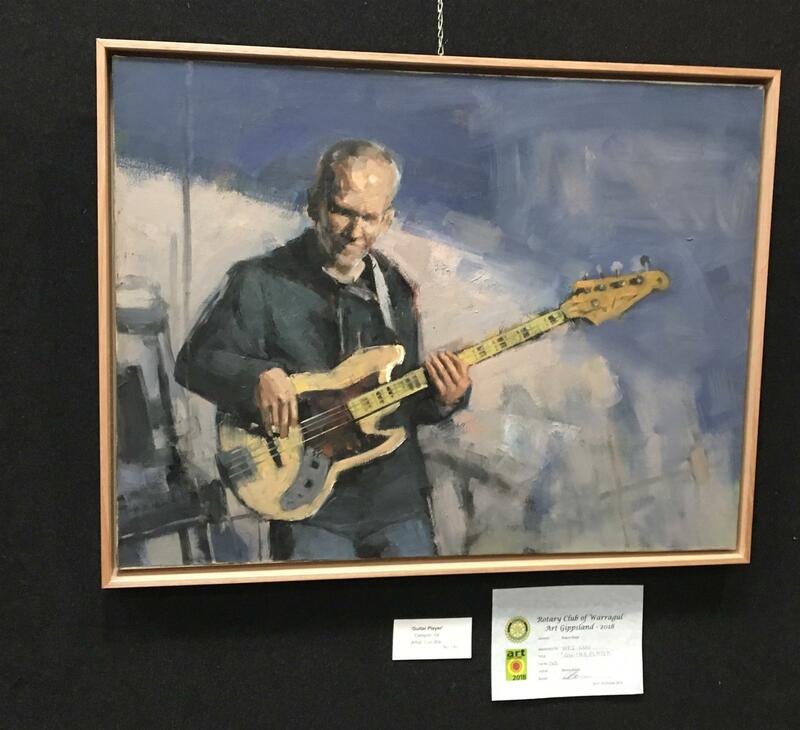 Over 250 people were in attendance at the preview night with many local artists and art show sponsors present for an enjoyable evening. 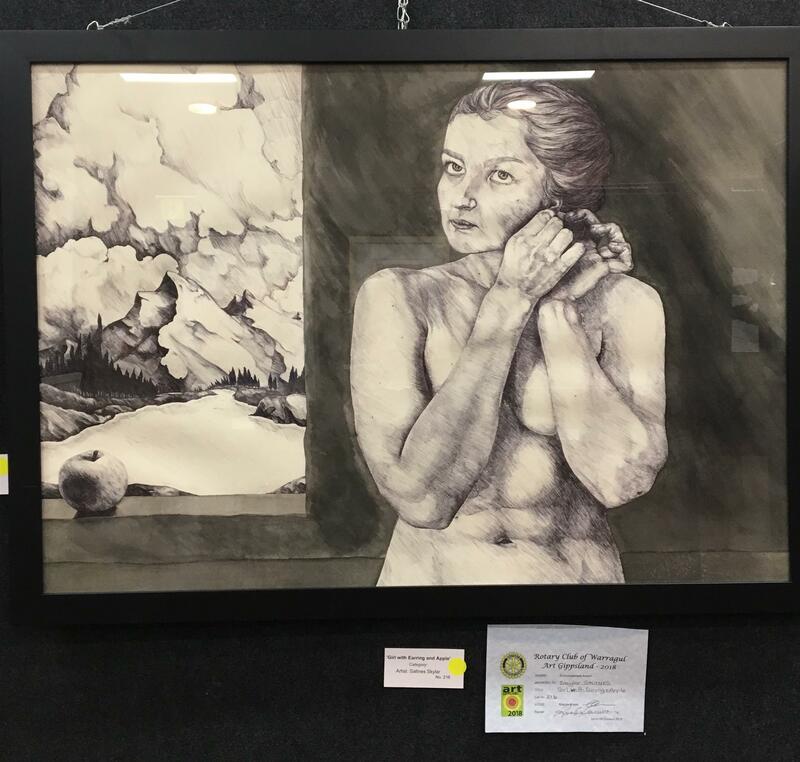 There were 260 artist entries for this year’s art show. 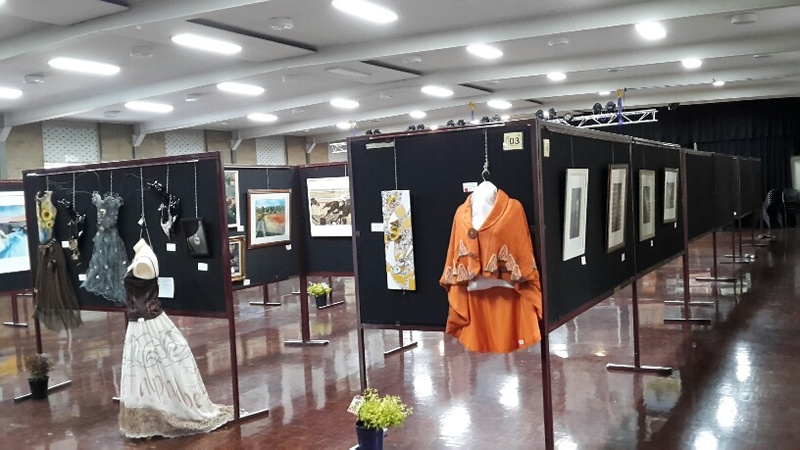 Twenty nine artworks were sold which was similar to 2016.